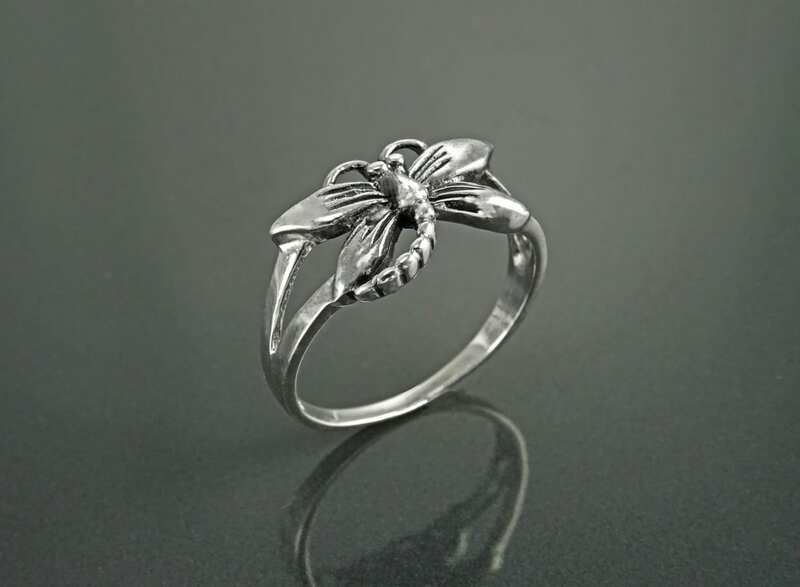 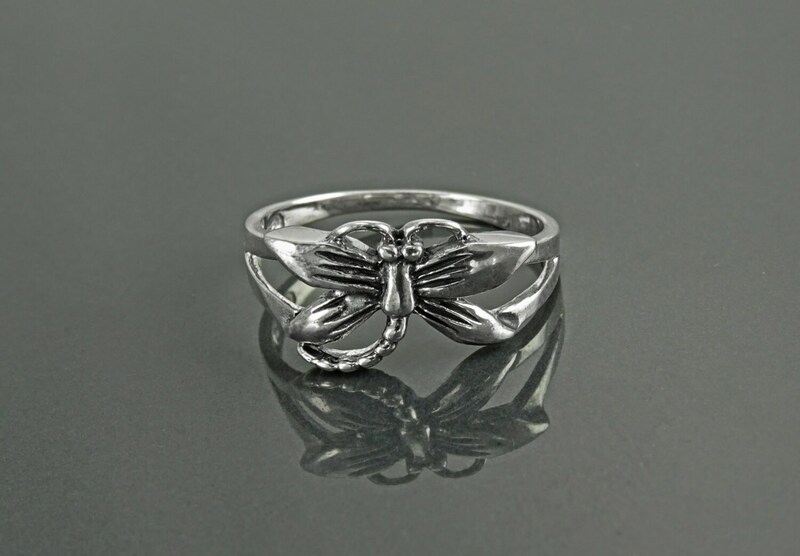 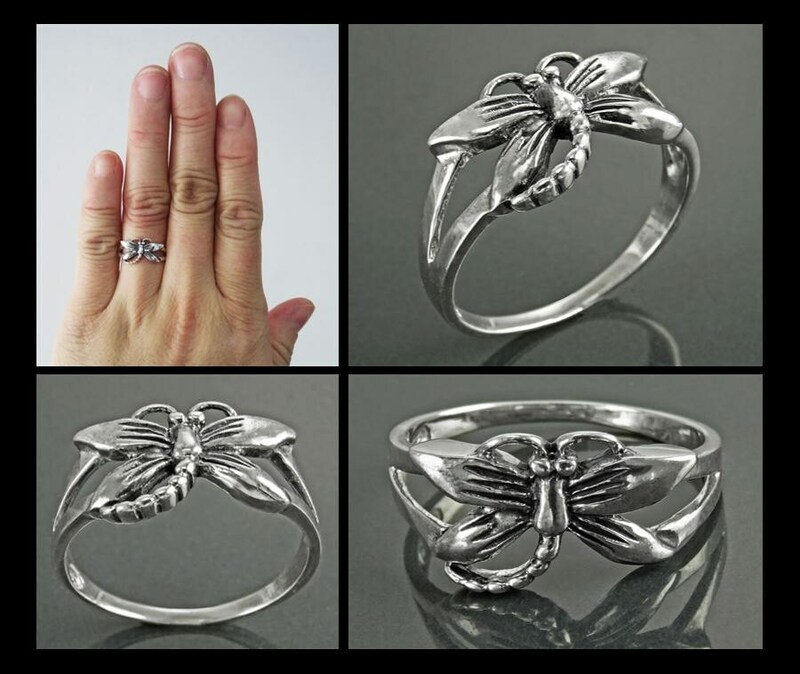 This lovely Sterling Silver Dragonfly Ring, highly polished and oxidized details is a great conversation piece landed on your finger. 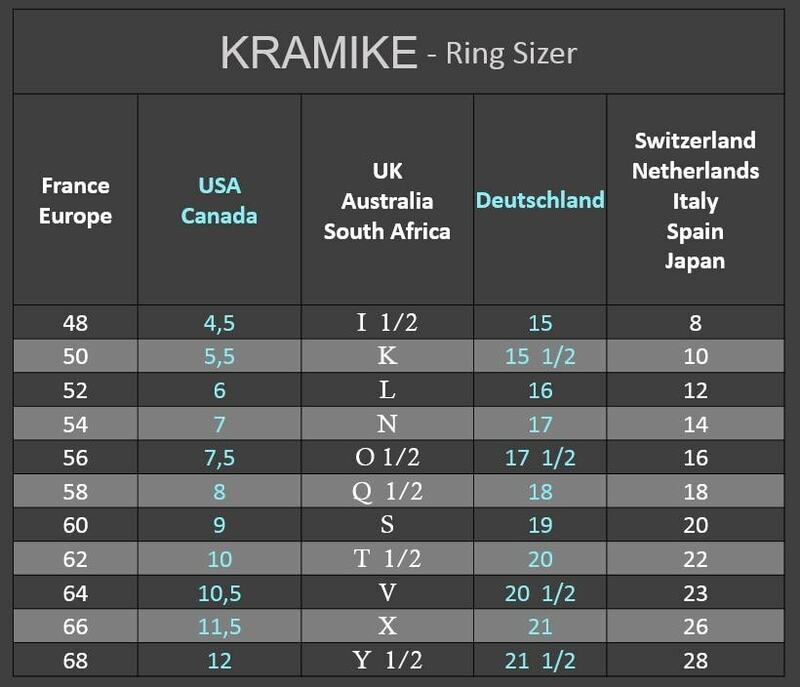 Average silver weight: 2.1 gr. 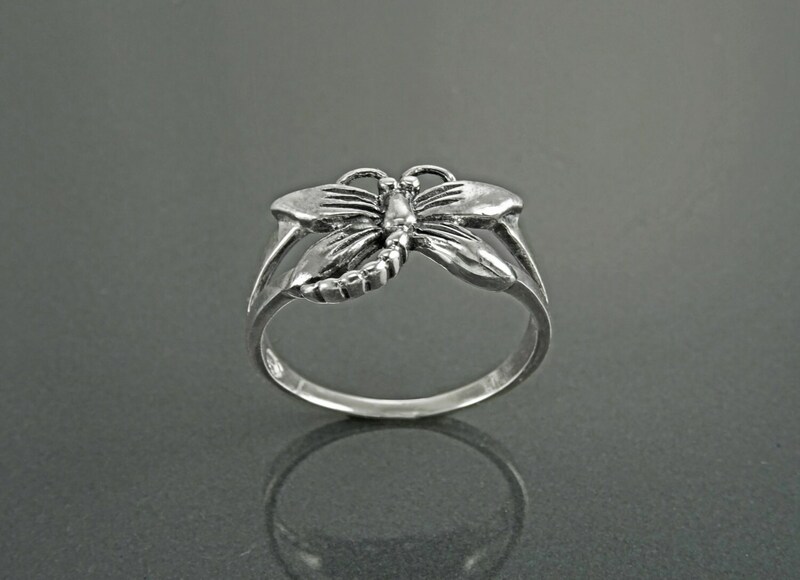 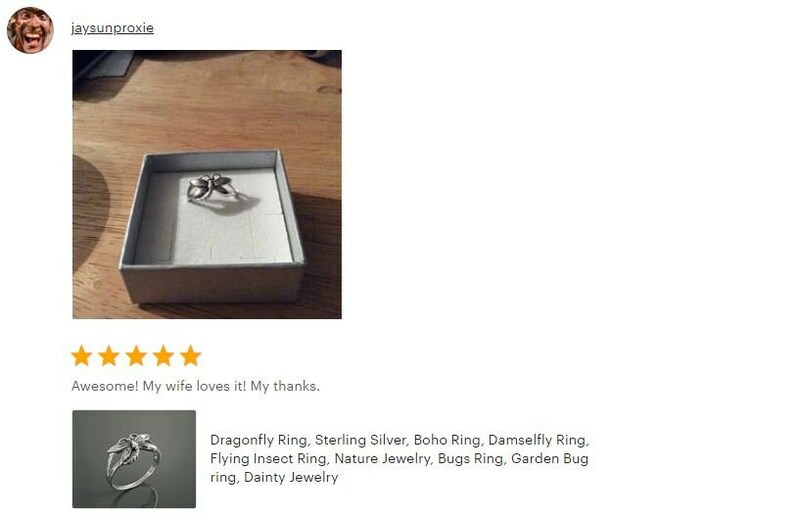 Beautiful ring, the size is perfect.